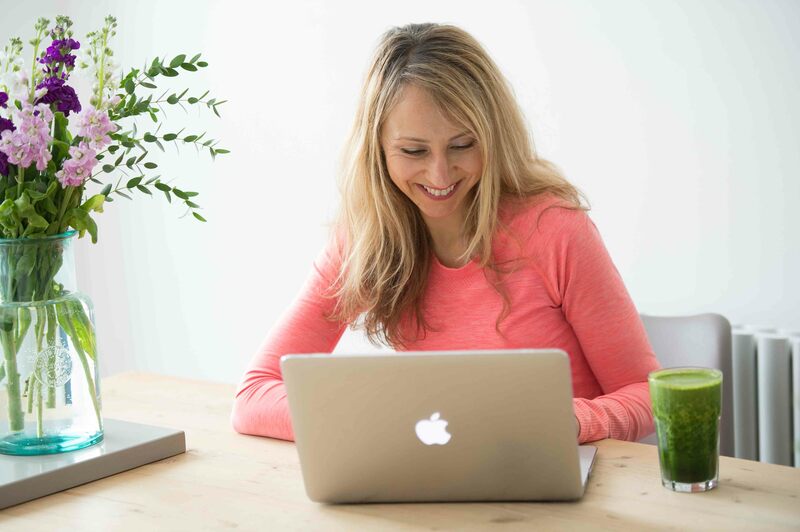 I’m Katie, an experienced personal trainer, nutritional advisor and qualified Metabolic Balance® Weight Management Coach, and my aim is, quite simply, to help you feel better. Through intelligent fitness and sensible nutrition, together we can develop a fitness and nutrition solution that fits your life. Based in Lewes, East Sussex, I offer personal training, nutritional advice, weight-loss programmes and circuit training classes to a broad range of clients, specialising in fat-loss, female mid-life training and training older adults. I am also a fully qualified Metabolic Balance® Coach, the award-winning weight-management programme which counts Boy George, Kirstie Alsopp and James Corden as just a few of its success stories. I’d love to work with you to develop a realistic way of eating and exercising that you will stick to, that suits both your lifestyle and your budget. Everybody’s life is different, that’s why your Lewesfit experience will be designed just for you. You will be pushed out of your comfort zone, but treated with sensitivity and kindness to achieve optimum results, whatever your age or starting point. I am interested in what makes people tick, what makes them feel valued, special and happy, rather than just delivering fitness programmes. You deserve to feel comfortable in your own skin, feel good about yourself, and be the absolute best you can be. Working with a broad range of clients, I offer lasting solutions, making the journey to your ultimate goal achievable and enjoyable. Once you reach your potential, I will give you the tools to support yourself there forever. READ MORE about my approach and success stories. Winner of The Medical Wellness Award 2009, Metabolic Balance® is a uniquely structured nutritional programme that encourages successful and long-term weight loss. By rebalancing the metabolism, it sets you free from food cravings, helps your body to burn fat and ensures simple, sustainable results. Metabolic Balance is the celebrity choice for sustained weight loss. With outstanding success from Boy George who lost 4 stone in 2017, James Corden, Sam Smith and Kirstie Allsop, to name just a few, Metabolic Balance® is a highly effective solution that promotes a new way of eating forever. READ MORE about how I have helped others and can help you. Lewesfit Circuits (ladies only) is a highly effective 60-minute class delivering optimal results in a lively, supportive environment. You will be pushed hard to achieve the results you crave, but at a level suitable for your body and fitness. You will move through a series of heart-pumping cardio and resistance exercises, all set to uplifting tunes, leaving you exhausted but exhilarated. Burn up to 500 calories per class and keep your body and fitness improving week after week. READ MORE about the classes I teach.